Is bread dead? Gluten-free and low-carb diets are now mainstream, but now there’s another diet to add to the list: the no-wheat diet. Devotees of this diet cut out bread, crackers, and pasta to control their appetite, support gut health, and lose weight; some swear off grains entirely. What is a no-wheat diet — and does it work? Do we really need to put grains on the chopping block and stop eating wheat? Wheat has become a food “that everyone loves to hate,” says Paige Benté, M.S., R.D., C.S.S.D., and nutrition manager at Beachbody. Indeed, our collective wheat consumption started dropping significantly in 2000, according to the USDA, after three decades of increased per-capita consumption. In the ’70s, we started embracing carbs — and wheat — as we ate fewer animal products. But by the ’00s, the low(er)-carb movement had us breaking up with bread. By 2011, we were eating nearly 10 percent less than in 2000 (about 5.75 ounces daily). What Is a No-Wheat Diet? You may already know some diets that eschew wheat and grains, such as the Paleo, Atkins, and ketogenic diets. A wheat-free diet may not resemble those plans. It may exclude wheat, but not rye and barley, which contain gluten. And it may or may not be a weight-loss diet — it’s simply a diet that excludes all wheat and wheat products. Why Would You Want to Stop Eating Wheat? Swapping white bread for whole-wheat bread is a tried-and-true healthy eating tip, so why wouldn’t someone want to eat whole-wheat bread — and why would you want to stop eating wheat entirely? Those who follow a no-wheat diet generally fall into three camps, says Benté. As with any diet, the motivation may be related to weight, health, or personal preference. First, there are people who have an actual wheat allergy. Wheat is one of the eight major allergens that must be listed on food labels, but it is most common in children and usually outgrown by age 3. Then there are the three million people who have celiac disease. When they consume gluten (a protein found in wheat, barley, rye, and foods like soy sauce, salad dressings, beer, and more), it sparks an immune-system response that can damage the small intestine and interfere with nutrient absorption. Since gluten is a part of wheat, a gluten-free diet is also a no-wheat diet. The final group is composed of people who simply choose not to eat wheat. Is this interpretation of a wheat-free diet a trendy way to cut carbs? “Pretty much,” says Benté. Monica Auslander, M.S., R.D.N., and founder of Essence Nutrition in Miami agrees — and cautions against cutting out wheat just because it’s trendy, as that can backfire. You “often end up eating less fiber, more carbohydrates, more refined carbohydrates, more sugar, and gaining weight,” she says. In 2013, the Journal of the American College of Nutrition published a review of individuals with non-celiac gluten sensitivity. Researchers found that eliminating gluten (and thereby wheat), helped both the gastrointestinal system and other areas of health for these people. This is a polymer of fructose (sugar) molecules that can cause digestive issues in some people. Phytic acid and phytates, which are found in seeds, legumes, grains, and nuts, are sometimes called “anti-nutrients,” since they can inhibit the absorption of other nutrients. However, research shows that phytic acid may have antioxidant-like properties, and you can negate that anti-nutrient quality by adding garlic or onions. “In healthy amounts, they are not bad for you,” says Benté. You’ve seen all the places wheat can hide — it’s mostly processed foods. So if you’re replacing wheat products like frozen pizza with steamed quinoa and grilled chicken breasts, that’s healthier, says Benté. 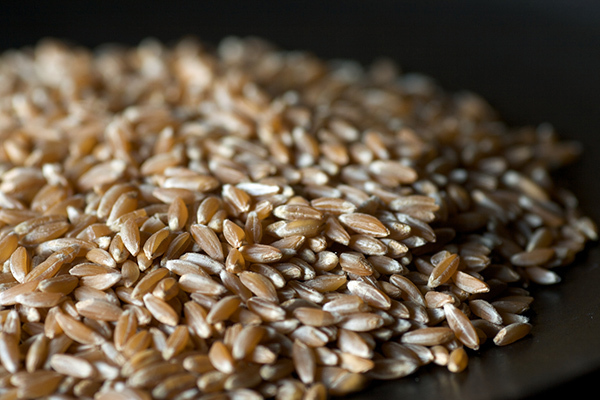 Since wheat can hide in prepared foods, you’ll need to have an eagle eye to keep it out of your diet. This might draw your attention to other areas of the ingredients list, like salt, sugar, and trans fats. What do you eat on a wheat-free diet to lose weight? It’s similar to any healthy eating plan, says Auslander. “It can make your life a lot harder,” says Benté, since wheat is the third-biggest crop in the U.S. and permeates our supermarkets and restaurants. Cutting out wheat (aside from health reasons), she says, is “not dangerous, it’s not unhealthy, it’s fine” — but it may complicate your shopping, dining out, and cooking habits. 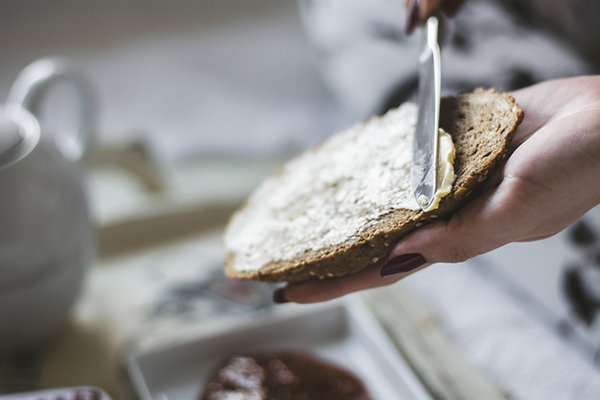 Whole wheat is a major source of fiber for many people, says Auslander, and fiber can help with satiety and regularity, too. Growth of the gluten-free market may be slowing, but it’s still nearly a $2 billion industry. That means that you can find a gluten-free or wheat-free version of just about every junk food imaginable. You may hear about diets that are against all grains as a way to cut carbs and — as proponents say — keep appetite and energy levels steady. She adds that you might also overeat other food groups or macronutrients as a result. As for the energy and appetite benefits of such diets, Benté says cutting out grains is going to extremes. Eating high-carb meals will affect energy and appetite — the ebbs and flows are normal. But “we need the energy that comes from those carbohydrates,” says Benté, adding that you can eat balanced meals — such as a serving of oatmeal, two scrambled eggs, and a piece of fruit or maybe some vegetables at breakfast — instead of cutting out whole food groups. “I think people are constantly looking for these quick fixes, these easy ways to cut calories,” she says. Are We Eating Too Much Wheat? Benté and Auslander agree that we eat too much wheat. Grains tend to be cheaper than proteins and produce, so we load up. Instead, Auslander says wheat should be a supporting actor — not the star. We’re not overdoing it on wheatgrass or wheat berries, says Benté. We eat too much junk where wheat is a filler. If you want to eat less wheat, using the Portion Fix Container plan can help. “You only have so many containers that you can fill with carbohydrates, and even if you filled all of those with grains, the only grains that are allowed are whole grains,” says Benté, so you’re cutting out all that processed wheat. And, you can eat wheat berries, whole-wheat bread, barley, or other whole grains, she says. While wheat is off-limits to those with celiac disease and allergies, for everyone else, going wheat-free is a personal choice that may help you reduce the amount of processed food you eat. To maintain a healthy, well-balanced diet, be sure to eat a variety of whole grains — and that may include wheat.